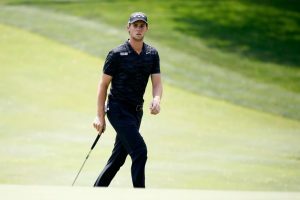 Thomas Pieters fired the only bogey-free round of the day in the opening round of the WGC-Bridgestone Invitational as the Belgian moved to the front on his debut at Firestone Country Club. The 25 year old has already had a top five in a World Golf Championship this year, on top of another at the Masters, and he was in imperious form in Akron as he carded five birdies including one at his last hole – the ninth – where he sank a 32-foot putt after a smart recovery from an errant tee shot. That earned the 2016 Ryder Cup star a five under 65 and left him a shot clear of Scot Russell Knox, the 2015 WGC-HSBC Champion who was back to his best on day one at the famous Ohio venue having struggled for form in recent months. Those two headed up a strong European Tour presence in a star-studded top ten, with Ross Fisher, Rory McIlroy and Jon Rahm sharing third place alongside the recently-crowned Open Champion Jordan Spieth, two-time Masters winner Bubba Watson and Kevin Kisner, while Argentinian Andres Romero is one of six players in a share of ninth. 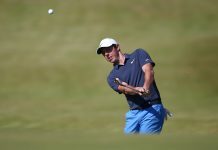 McIlroy was happy with his first appearance alongside his friend and new caddie Harry Diamond as five birdies and two bogeys – including a finishing one at the ninth – earned the four-time Major winner a three under 67. “I only had two putts from above the hole. The rest of them were just pretty straightforward putts. I think that was the key. I was pretty terrible from the tee, but managed to find a lot of greens today. I think I hit eight or nine in a row on the first nine and that was important as well. “It was kind of a stress‑free round. On my back nine, I missed a couple of greens but got up and down a couple times, so I’m pretty happy. 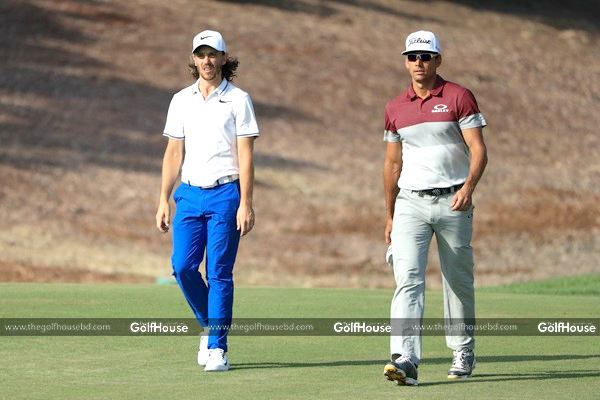 “I had a fun round with Adam and Sergio, just having fun. I don’t get too much into where I have to hit it, where not to, mapping it out. I leave that to my caddie and we figure out a simple game plan and try to stick to that. “Obviously I like the course. I’ve never been, but it’s just a golf course. You have to plot your way around and manage the game plan that works for you. “I’ve had good results this year. I’ve been in contention and that’s all I want to do. I just haven’t had that win. I feel like if I had a win already this year, my year would have been good, but I just haven’t finished it off. “I hit the ball great today. I’ve obviously struggled a little bit recently but my game’s not been far off. I know it hasn’t been. I made a couple of adjustments in my equipment, which is going to be important moving forward for me. Today was how I normally have played. I’m very happy to have shot four under. “I went back to the putter that I used when I won in China. I figured it did work at one point, so it worked today. I rolled the ball beautifully. I switched iron shafts, which I haven’t done in five years. That seemed to make it a little easier for me. 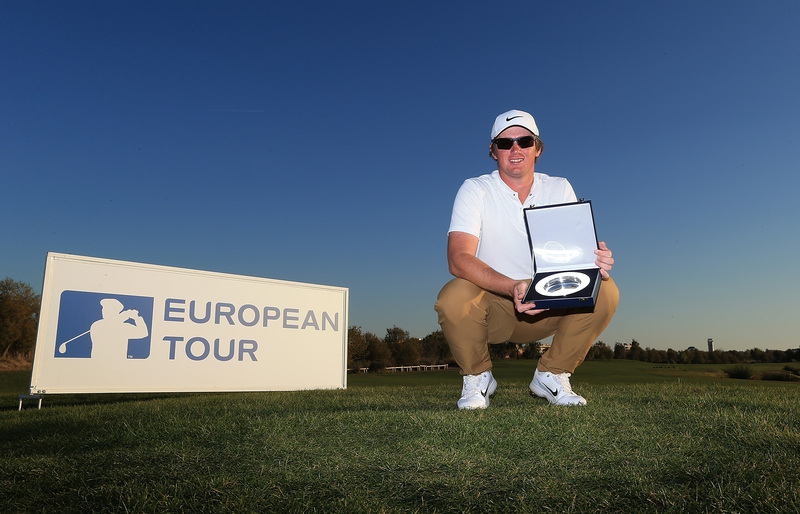 “It’s a golf course I’ve always enjoyed since the first time I came here in 2009. I always felt like it was a golf course that suited me and I could play well on. It was nice to get back, nice to see some putts go in and shoot a decent score to get off to a good start this year’s tournament. “It was good with Harry on the bag – a little weird at the start. Obviously it’s been nine years since I’ve had anyone else on my bag, so even just hearing a different voice, it’s a little different. “But I thought we did well out there, sort of consulted each other when we needed to. I sort of did all my own stuff when I felt like I was good and then whatever decisions I made, whether they were good or bad, it was on me. I didn’t have anyone to get frustrated at or than myself. So it went well out there. “It could have been a really low score, but I played okay – I don’t feel like I played really good. I drove it well, but I shot 67 in one of the biggest golf tournaments in the world. It’s there, it’s just a matter of repeatedly doing that and being a little bit more consistent. Learning Golf, the Chinese way!